I’ll spin you right round..
I’ve seen these shots done a a few times, so I thought I’d give it a go. 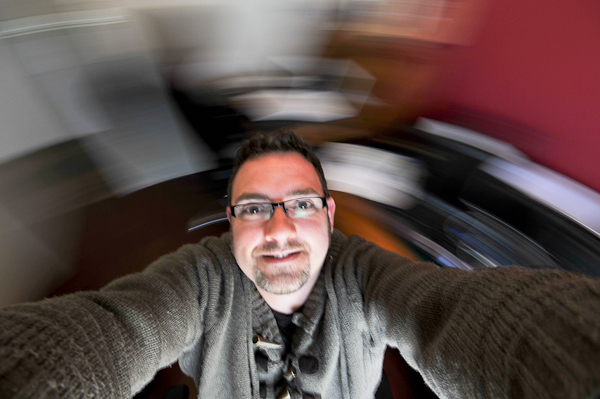 Set camera to have 1/4 to 1/2 second shutter, hold at arms length point at your head, spin around on an office chair, press the shutter, try not to look too much like an idiot. Ok, so I failed on the last point. 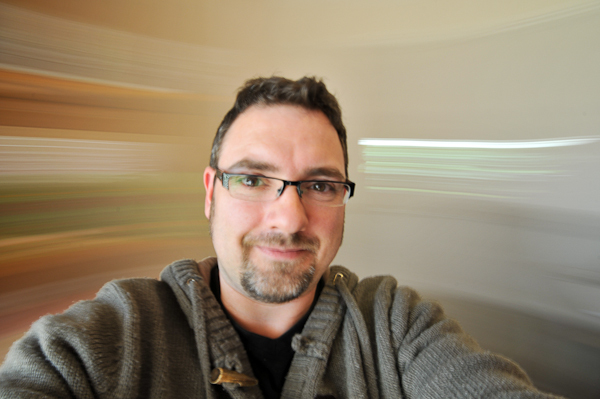 And I need to to spin faster and have a shorter shutter speed, they’re not sharp enough. The motion effect is nauseating. I just had lunch and these pics have made me feel a bit weird. Hope you are doing well Rich. Simone and I are loving the blog..
Hey John (and Simone) – you should try doing the spinning then *barf* actually, don’t, its really not worth it! Life is good down here thanks – and very glad you’re enjoying the blog – we aim to please – stay tuned for Red Wine Wednesday..
i did one with 4 of us, damned if i can find it now. but yeah, quirky fun! 4?? how on earth did you manage that?! actually it was 3 not 4…! !